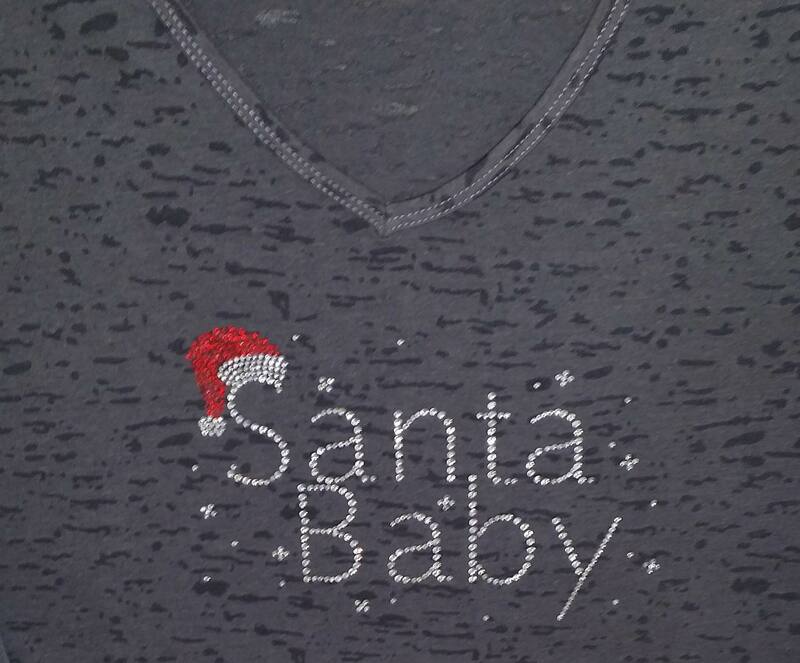 All crystal rhinestones and a red Santa hat on a burn-out v neck shirt with 3/4 sleeves. Burn-out shirts are so comfortable and stylish. This motif is also available on a black scoop neck 3/4 sleeve shirt that is 60% cotton and 40% poly. A Fun shirt to wear for the holidays. Get blinged out this year.